Other sizes available on request. Fully Sewn or Prints. Please contact us for further options. Kosovo Flag - This design was adopted in 2008, directly after the declaration of independence of Kosovo from Serbia. 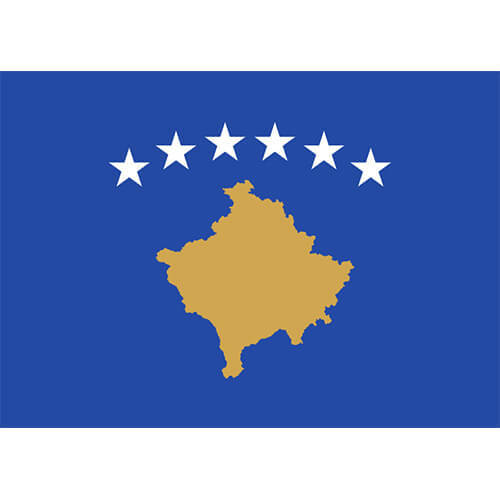 This design was chosen from a competition held by the Kosovo Unity Team and features six white stars in an arc above a golden map of Kosovo on a blue background. The stars are to represent the the 6 major ethnic groups: Albanians, Serbs, Turks, Gorani, Romani and Bosniaks. 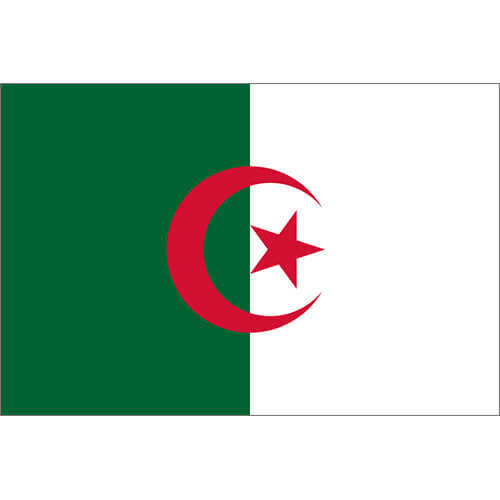 This flag is notable for its use of a map in the design, with the Flag of Cyprus being the only other national flag to do so. Our World flags are finished with a loop at the top and bottom of the flag to be used with clips to attach to the rope and run up a flag pole. Clips are included with the flag for your convenience. The flags come in a range of sizes for you to choose from, select your size from the drop down menu. 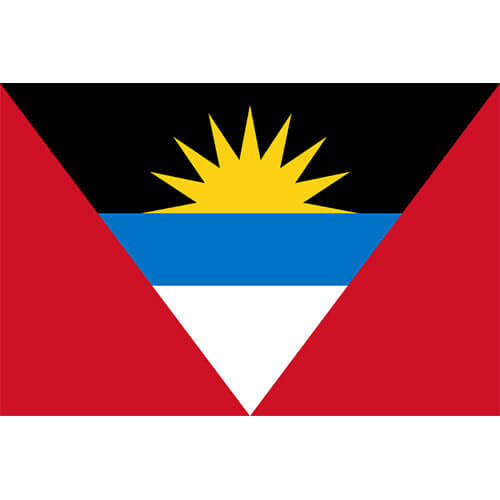 We can make flags to your specifications such as a custom design or vertical sleeve finish, please contact us for a quote.